Throughout the city of Los Angeles, you will find six different sonography tech schools to choose from. Residents of Los Angeles that choose to take advantage of furthering their education by becoming a certified sonographer can expect to pay an average of $15,683.00 in tuition costs. Those traveling from out of state pay an average tuition of $17,873.00. With several different schools and programs to choose from, those attending school for this program can either opt to stay on campus in a dorm room or stay at home if they are area residents. If interested in learning more about ultrasound technician programs in the Los Angeles area, below are some of the schools that offer certification in this field. One of the most popular sonography schools in Los Angeles is none other than Casa Loma College. This school offers two different programs that you may opt to choose from when looking to obtain a ultrasound technician certification. The first option is the Certification in Diagnostic Medical Sonography course while the second option is the Sonographer & Ultrasound Technician course. Room and board is not available to take advantage of at this school. Financial assistance is offered to those who qualify. The Charles Drew University of Medicine and Science is one of the perfect sonography schools in Los Angeles to attend if looking to obtain a degree rather than a certification as a sonography technician. The degree program offered is the Bachelors in Diagnostic Medical Sonography course. Certifications can also be obtained when taking the Sonographer & Ultrasound Technician course that is available at this top notch school in Los Angeles as well. Other ultrasound technician schools Los Angeles include Pierce College. Here you can obtain a certification in Biomedical Technology as well as a certification as a technician. Off-campus room and board is available for those who would like to take advantage of it. With an average of over 500 students receiving financial aid, you are able to further your education even if you do not currently have the finances to do so. 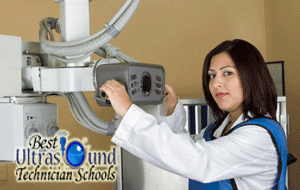 Accredited ultrasound technician schools in Los Angeles include the Los Angeles Valley College. Located on Fulton Avenue, this school offers two programs that those looking to become ultrasound technicians can choose to complete. The first program is Certification in Biomedical Technology and the second program available is the Associates in Biomedical Technology course. Off campus housing is available for those attending this school. Those looking for courses including a Associates in Biomedical Technology or Certification in Biomedical Technology, may opt to attend school at the Los Angeles City College. The average in-state tuition to take advantage of these courses is $698.00 while the average out-of-state tuition is $5,846.00. Located on Laurel Cyn Blvd within the city of Los Angeles is Kaplan College. This college also offers two different programs for ultrasound technicians. This includes Certification in Diagnostic Medical Sonography and Sonographer & Ultrasound Technician. Housing is not available at this college location.